Not so long ago we went to a martime museum. 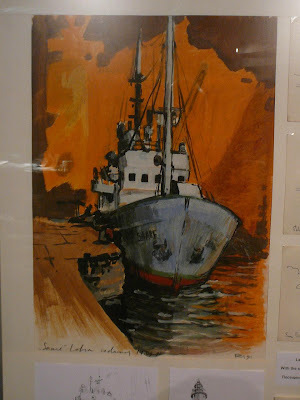 It is not really my field of interest but I saw this drawing of a boat. I like the drawing, nice composition and colours. Great depth to the painting.